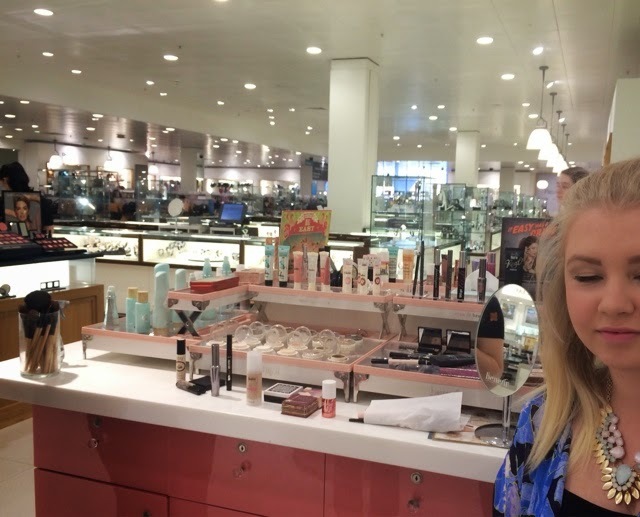 So yesterday I was in John Lewis and realised I had a free 'Make Upper' from Benefit and decided to try it out. I went up to the lovely Benebabe Jenny and asked what it entailed, sat down and for about half an hour I had a little makeover. Hands up here, Jenny was the nicest and most informative person I've encountered when at makeup stalls. I've been looked down upon before, been told to wait ages etc at other counters. It wasn't at all busy yesterday, but she showed me through everything which was lovely. Firstly, on my hand she tested the Foamingly Clean Facial Wash (£17.50) on one hand then rubbed it off and it brightened up my skin so much I was truly shocked. You know that feeling when you want to dislike something, to prove to yourself you already use the best you can use? Well I loved it. My skin was softer, brighter and smoother, after one little test. It is bugging me now that my summer money has gone all on a trip to Paris and not in the bank of Benefit! She then tried the Refined Finish Facial Polish (£18.50) which gently exfoliated the skin on my hands. To be honest, I didn't see much of a change but I would have had to try it on my face to see a change. After removing my makeup that I already had on with the They're Real! Remover (£14.50) which seemed to work very quick indeed (I normally spend an age rubbing the mascara off my eyes which hurts and irritates them) she went on to moisturise my face with the Total Moisturise Facial Cream (£28.50) and then apply serum; Instant Comeback Serum (£36.00), finished off with It's Potent! Eye Cream (£25.50) which tingled a little under my eyes but definitely left my skin looking brighter and my eyes look more awake. While Jenny was letting the eye cream set in, she let me pick a look and began to work her magic on my eyes. She primed my eyes with Stay Don't Stray (£20.50) which is one of my favourite products of the day. It helped hide my under eye dark circles and instantly opened my eyes up and made them look amazing! She applied three shades of the Longwear Powder Shadow (£15.50) over my lids and created a higher crease for me to make my eyes pop. The product which I was anticipating a lot was They're Real Push Up Liner (£18.50) as I have seen a lot of mixed reviews about this. I've seen some people swear by it, as a gel liner in pen form works swimmingly for some, and other's just don't get it. 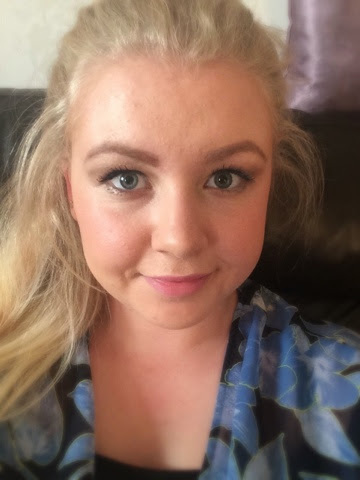 I never applied it myself, so I can't comment on how easy it was to use personally, but Jenny applied it for me, really quickly with a rich black colour that defined my eyes and with having blonde eyelashes, it seemed to hide the gap I sometimes have between my eyelids and lashes. It stayed on for so many hours without smudging. It lost colour the tiniest bit, so I am definitely loving this product. Finally, we both applied They're Real! Mascara (£19.50). I have used a thick brush wand ever since I started wearing makeup and have never used this type of wand, that feels almost like a spikey comb (as funny as that sounds). It is a buildable mascara so after the first coat I knew it wasn't enough for my type of look, so applied a second coat which looked great. I was a tad worried about it looking clumpy but it looked lovely and didn't budge! I didn't need to touch up my mascara later on in the day and I didn't feel like my mascara was too thick. Onto the face! 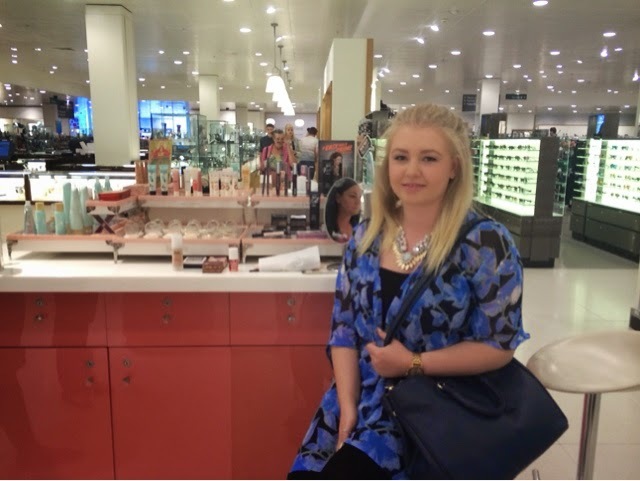 Before foundation, she used The Porefessional (£24.50) which made my skin lovely and soft, but also made me feel confident and that I could not wear makeup too which is something I've never experienced before. My mum tried it on and it looked lovely on her too and she bought it (along with Gimmie Brow and Stay Don't Stray!). Jenny applied the Hello Flawless Oxygen Wow! Foundation (£26.50) which went on pretty easily with the foundation brush. For me, I wasn't overly impressed, as I feel like the skincare products brightened my face already so didn't see much difference in this. After applying Hello Flawless Powder (£25.50) which didn't give as matte a finish as I usually go for, she went onto my eyebrows. Firstly, she applied Gimmie Brow (£17.50) in light/medium which quickly added color to my brows, but didn't give me much shape, down to my eyebrows not being super defined already. To shape my brows, the Brow Zings (£24.50) was applied, and you can tell in the pictures that I have a better arch, and longer brows. Out of my comfort zone a little having bigger brows, I adore them and I am now very sad that I don't have lovely brows today! 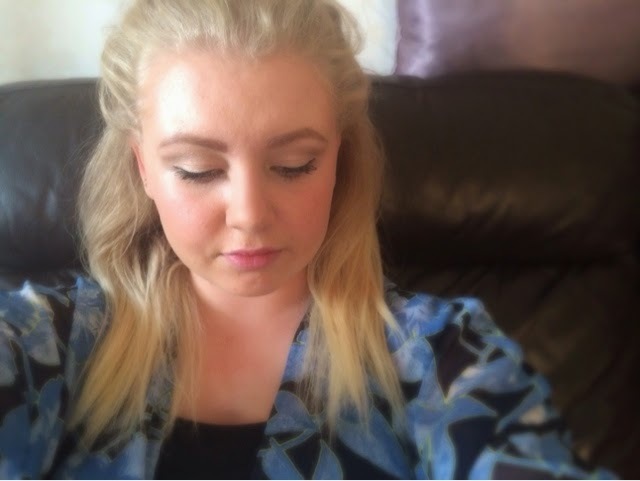 Jenny then contoured using Hoola (£23.50) which I already own and love, then applied the Hervana Blusher (£23.50) which is a truly gorgeous colour. I love that the lightest colour can also double as a highlighter too. I am a huge fan of Benefit blushers and own a previous Christmas Special called Powda Wowza which has Coralista, Bella Bamba and Hoola in it, which I still haven't ran out of! Just shows that the money you pay for these products is an investment and worth it if you love it. Finally, on my lips Jenny applied PosieTint (£24.50) which added a subtle pink tone to my lips. She did add that she wasn't trying to 'Barbie-fy' me, but pinks suits my pale skin and blonde hair! You may be wondering how much my face was worth with this all on! So here are my overall views of the products! 9.5/10 - Completely amazing and brightened all my skin up. 7/10 - Looked good but didn't try it on my face. 8.5/10 - Worked very quickly. 7/10 - My face was very smooth afterwards. 6/10 - Didn't notice much difference for 1 use but felt nice on. 9.5/10 - made my eyes look so different and bright! Amazing! 9.5/10 - Added a hint of colour removed dark circles. 9.5/10 - Loved this! Smooth skin and less noticeable pores. Made me have a huge boost of confidence in my own skin. 6/10 - Good coverage but not right for my skin. 6/10 - Not the right type of powder for my skin. 7/10 - Added some colour to my brows, so easy to apply. 8.5/10 - Defined my brows and they stayed for a long time. 8/10 - Already own and love! 7/10 - Only used on my lips and I prefer a thicker lip product, but the tint was pretty good. 7/10 - Stayed on a lot better with the eye primer, lovely colours. 9/10 - A product I was wary about, but was super impressed with. 8.5/10 - Different wand made my eyelashes look longer and lasted all day. > It's Potent! Eye Cream. When speaking to the lovely Jenny, I did express my surprise at the skincare range as it would never cross my mind to even look into it, but I was very, very impressed with the eye cream and face wash and would purchase them in a flash if I could, along with most of the Benefit products! I'd love to say that if you're in Liverpool, go and visit Jenny in John Lewis and book a Make Upper and let her open your eyes to new products you haven't tried. I know this was a long post, so thank you if you got this far down! 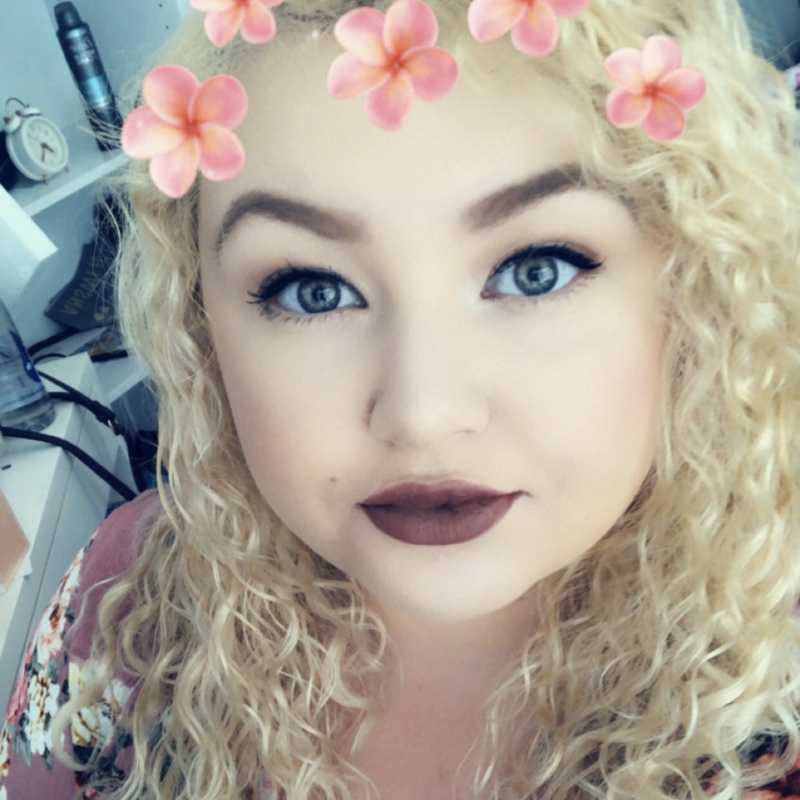 I wasn't sponsored at all by Benefit to write this post, I was just thoroughly happy with the products and will be making a wishlist for my 21st Birthday in 2 months!